Our community school is hosting our annual Talent Show featuring performances by our students. Please come and enjoy an evening of delicious food and great entertainment. Bid at the silent auction to win great prizes, gift certificates and fun activities. All proceeds will go to the PTSA’s enrichment fund for programs like the Writers in the School program hosted this year. We hope you can join us at this event that supports our school and showcases our talented students! Register by 4/30/15 on-line (gilpinrecreation.com) or at the front desk. Payment is requested at time of registration. Rosters formed May 1st. 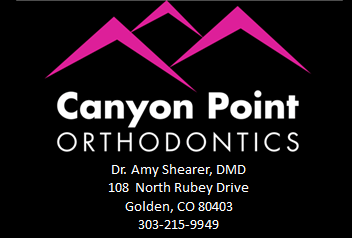 Contact Orrin Synder @ (303) 582-1453 with any questions. Come join the fun and play ball! Register by Thursday, April 23rd to get the FREE jersey! 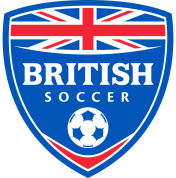 The June 8-12th British soccer camp is filling up, so register now and to make sure you get your FREE jersey complete your registration online by THIS THURSDAY, APRIL 23RD! Like in past years this soccer camp is led by British soccer coaches, and programs are available for kids from ages 3 -16. 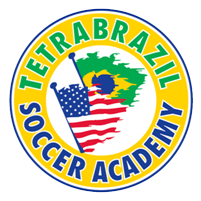 There will also be another British soccer camp August 3-7, and this year from July 20-24 the CCCP&RD will also be adding a new program, Tetra Brazil Soccer Academy, for our 10-16 year old soccer players . This camp focuses on technical development, and is led by Brazilian coaches that bring an authentic taste of the flair, passion and creativity of Brazilian soccer. Kids can sign up for one, two, or three weeks of camp. Remember, don’t miss the free jersey deadline for the June camp and register now at www.challengersports.com. Questions? Contact Gwen Burak at gwenburak@wispertel.net or 303-642-9475. Silent Auction: We will be hosting our annual silent auction as part of the talent show Friday, May 8th. This is a MAJOR fundraiser for us and helps us be able to help pay for the Writers in the School program we hosted this spring. Instead of asking a few people to get a lot of items for the silent auction we are asking everyone to do a little bit! Each classroom will be preparing a themed-basket that we will be auctioning off at the event. Next we are asking EACH of you to donate one item. It can be something you make or something you can offer as a service. It can be something you ask a business to donate. It can be something you buy and donate. It doesn’t matter how it comes to you, but we need you to do the work of obtaining it and getting it to us by April 30th. You can designate what you are bringing to the auction on our sign-up form at http://vols.pt/qCL1TT Doing this work does count toward your Three for Me commitment. If you have any questions, please contact Beth Deming at beammeupdeming@yahoo.com or 303-642-0841. 2015 – 2016 PTSA Board: The PTSA nominating committee is looking for candidates to fill and share important roles on next year’s board (president, vice-president, treasurer, secretary). These positions help drive this organization to serve our community school. It is a great opportunity to meet other parents at our school and develop leadership skills as well. If you would like more information about this opportunity, please contact Tami Lawson at tamikrislawson@hotmail.com.